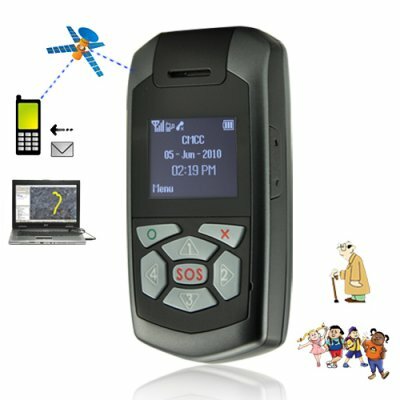 Successfully Added Personal GPS Tracker with OLED Screen and Two Way Calling to your Shopping Cart. Personal GPS Tracker - providing you with accurate and reliable GPS information straight onto a crystal clear OLED Screen. This powerful device also includes Two Way Calling to up to four pre-set phone numbers (and an SOS number) for fast, emergency communications. For tracking of items and assets, this Personal GPS Tracker comes with a wide range of features that can be activated through SMS messages or by using the included GPS management software. With it, you can use convenient one-click commands for everything from checking the current location to reporting geo-fence boundary crossings for youngsters and valuables - plus a lot more! With the latest in global positioning technology, along with a high sensitivity internal antenna and fast TTFF (time to first fix), the location of this Personal GPS Tracker will be picked up faster than any other personal tracker on the market. This Personal GPS Tracker is also constantly checking your location, so your position is always updated for maximum accuracy. With the large OLED screen, this GPS Tracker is perfect for personal use and keeping track of people. Holders of the device can check their own longitude and latitude coordinates on the screen, as well as view SMS messages, set an alarm, and much more. Also included is a handy two way calling feature (complete with built-in microphone and speaker) so users can use this GPS tracker like a cell phone and speed dial up to 4 pre-set numbers with just a push of a button for excellent emergency communications. Use the Personal GPS Tracker to track items or people anywhere in the world. Available in our warehouse right now, order today and we will express ship it out tomorrow. Brought to you by the leader in wholesale electronics and GPS gadgets - Chinavasion. How do I set up this Heavy Duty GPS tracker? What is the COM port/baud rate/password? First you need to connect it to your computer and use the included software to add a phone number to send the GPS alerts to. The COM port can be found by accessing the device manager on your machine, then going to ports, then finding what COM the GPS Tracker is. Using the same software, you can then access every function of the GPS tracker! How do I make sense of the information this GPS Tracker provides? Use the user manual or quick-start guide on the CD. The GPS Tracker doesn't work. What's wrong?